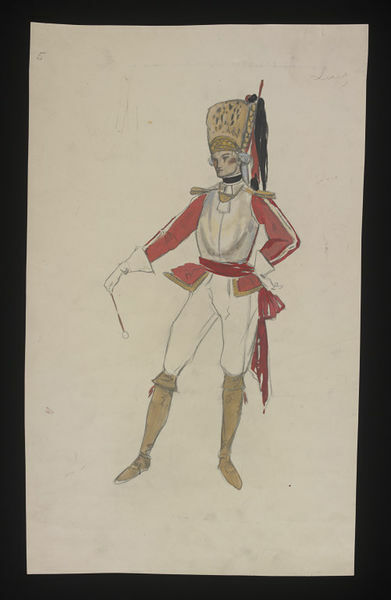 Working costume design by Charles Ricketts for Luiz from The Gondoliers, Savoy Theatre, 1929. Hand-coloured watercolour and bodycolour over photographic copy on paper. 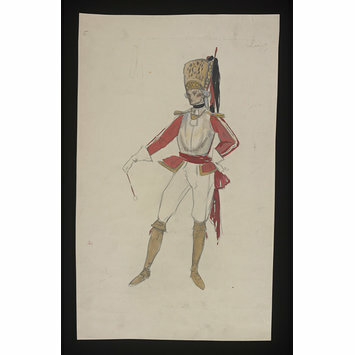 The design features Luiz wearing a uniform which includes a white jacket wit pink sleeves and gold epaulets along with white trousers and tan coloured boots.